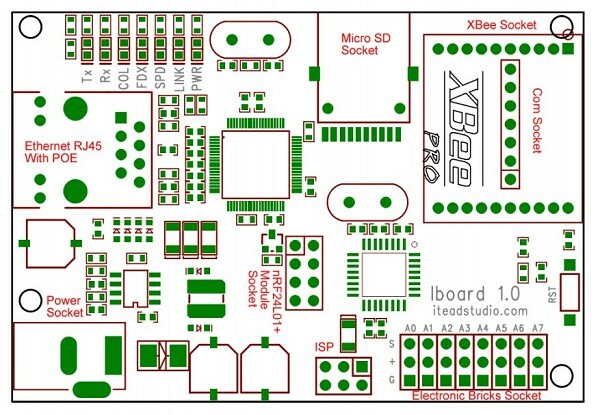 Arduino, Ethernet, XBee socket, nRF24L01+, SDCard slot built in, IBoard will add wireless XBee / nRF24L01+ control as well as internet connectivity to your projects. 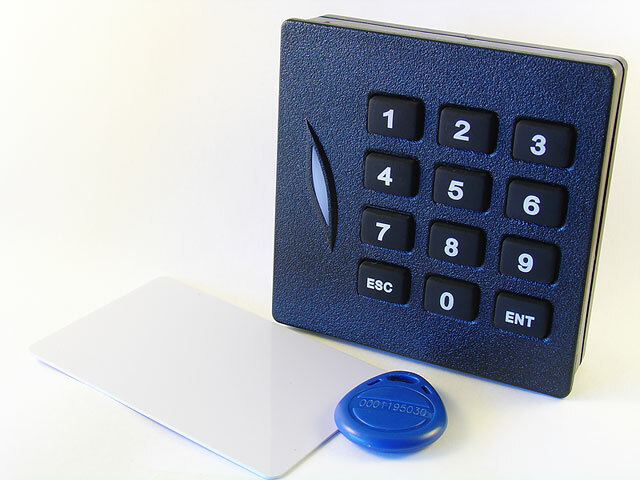 It's great for anything from home automation to robot control. 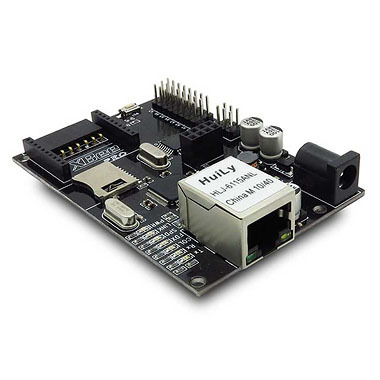 IBoard is a unique Arduino board, which features a WIZnet ethernet port, an XBee socket, nRF24L01+ module interface and an ATMega328. 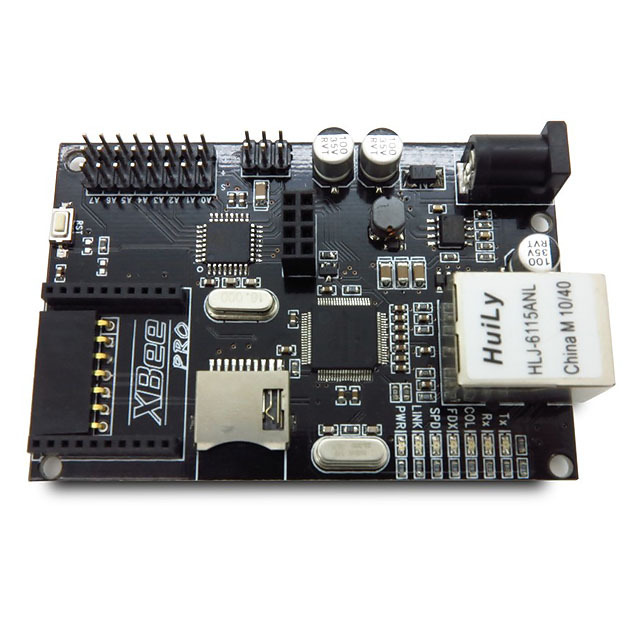 This board will add wireless XBee / nRF24L01+ control as well as internet connectivity to your projects. It's great for anything from home automation to robot control. The possibilities are endless! 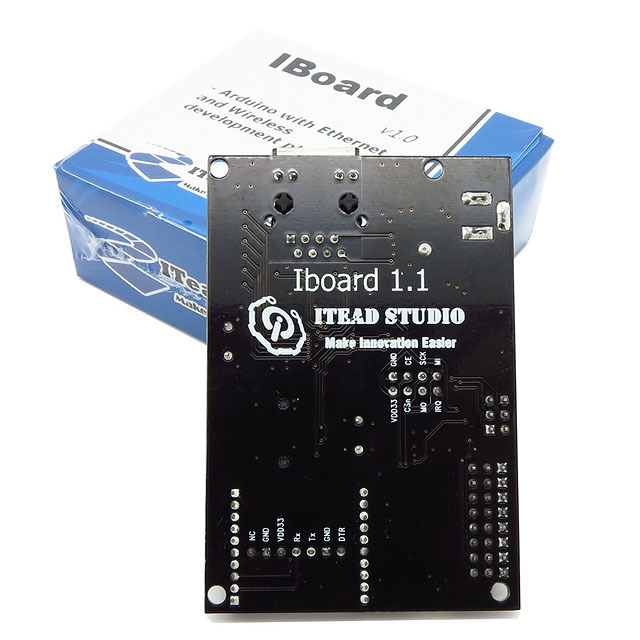 IBoard can be used as an Ethernet, wireless communication project development platform. IBoard support POE (power on Ethernet) power supply, and Micro SD for mass storage. There are some 3pin electronic brick/ sensor brick interface breakout on board, it offer an easy way for a quick prototyping. You can setup a web server through which you may communicate with a remote Arduino using XBee radios, bluetooth or APC modules. This information can be posted to a web site, or to Twitter. IBoard is designed to be compatible with SD and Wiznet libraries from Arduino ide, and all demo code can be downloaded directly here. With embedded bootloader, IBoard is easy to use by Arduino IDE through Foca breakout board. ISP of Atmega328 is broken out for download firmware easily. The IBoard does not have a USB connection. A USB - UART adapter is required to upload sketch - we recommend the Foca FT232RL breakout board.